What at first appears to be a wonderful opportunity for Damien Banks turns out to be the worst nightmare he can imagine. 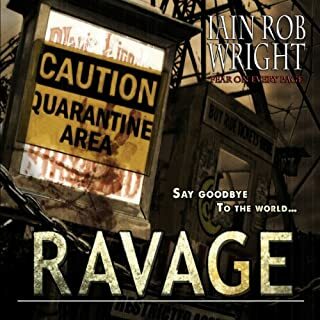 Trapped inside a house with 11 strangers, and a booming voice known only as "The Landlord" controlling his every move, Damien will be forced to compete not only for the money, but for his life. You've Got to Love the Wright/Barnes Combination! What made the experience of listening to The Housemates the most enjoyable? After having previously read The Housemates and finding myself in love with Celebrity Big Brother, I had to go back and relive this wonderfully executed novel. Chris Barnes brings the characters to life in a way that made me feel as though I was in the house with the contestants. In all Iain's books in which Damien appears, he is my favorite character. Iain writes with him with such depth and personality, it's hard to not like him, despite his flaws. The Housemates is a unique book that is disturbing and disgusting on its own. Listening to Chris Barnes tell the story adds a whole new level of discomfort and emotion that was not present when I read the book on my own. He performs different voices and accents, giving each character a unique voice, and the sound effects he uses gives the story new dimension. Each character is so varied, it makes them all memorable in one way or another. If I had to choose, I think either Damien or The Landlord is the most memorable character. I think it's ridiculous when people complain about Chris Barnes' thick accent. Anyone who is interested in listening to one of his books has the opportunity to preview a sample of the book first, and if his accent is too thick, why purchase the book? Because of this, I find it hard to take those reviews very seriously. Accent or no accent, this narrator loves what he does and that is very obvious in each book he reads. Remember the TV show Big Brother combine that with the Saw movies and you have The Housemates in a nutshell. Full of all the gore, the suspense, the mystery and the need for more that you would expect from such a pairing. The story surrounds one of the eleven people that think they are on a reality TV game show, Damien. A seemingly pretty normal guy, who seems to be there for all the right reasons. Only to find out on the first day that there is more going on than they were led to believe. Each of the eleven have done terrible things in their past and now they have been gathered to pay the ultimate price and satisfy their victims hunger for revenge. Each day, has the formulaic flow of most reality shows, the participants must take part in a challenge and then vote two to face each other face to face. The twist is they must battle one another for their lives. Once a competitor falls, their sins are revealed to the rest of the group. The Housemates is a great exploration of group dynamics under duress. Full of surprises and plot twists that kept me guessing until the very end. Believable characters, and somewhat believable situations. Part of the success that Wright has with The Housemates is because we are all familiar with reality TV. The twist lies within the psychopaths that are in charge. I would have liked more of a deeper knowledge of the eleven, and the landlord, more character development, even though much was revealed. I understand why there wasn't so much for some, but I still would have liked to know more about some of them. This could have made this audiobook longer and more fulfilling. Audiobook purchased by the narrator. It's hard to say without giving anything away! There are some geniune "squick" moments, but they're all very well done and described, leaving just enough to your imagination. And as Han Solo would say, I can imagine quite a bit! Very well done. The accent took a moment for my ears to adjust to, but once they did, I had no problems with it. Mr. Barnes did a fine job of differentiating the character voices and giving just the right emotional weight to the scenes. I definitely had more than a few "gasp" moments while listening! Thankfully I was never foolish enough to read it while eating, but there were a few times that I kind of wished I wasn't driving while I got through a fairly graphic part! The story is overall well-crafted, however, I feel like the last hour/last few chapters are a bit padded. Once the climax is reached, the let down takes a bit longer than it should. Also, the book could've used at least one more pass by the continuity editors- there are a few times where the book seems to lose track of how many housemates are in the house, and one chapter gets repeated! 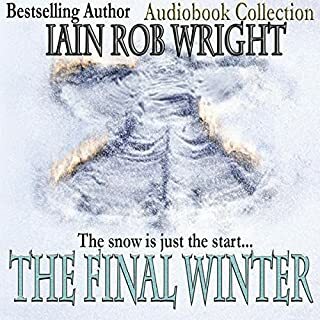 Where does The Housemates rank among all the audiobooks you’ve listened to so far? Brilliant story great charachters with many twists. I really enjoyed this. 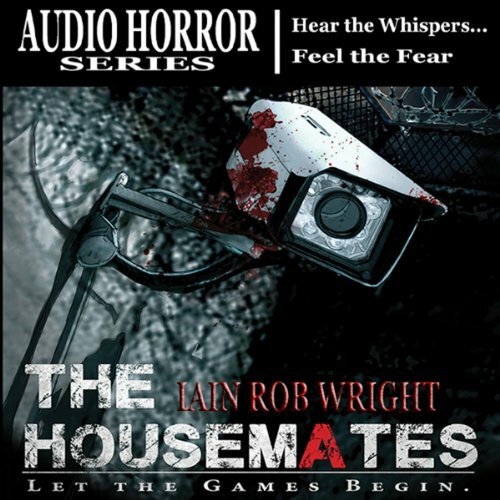 Would you consider the audio edition of The Housemates to be better than the print version? 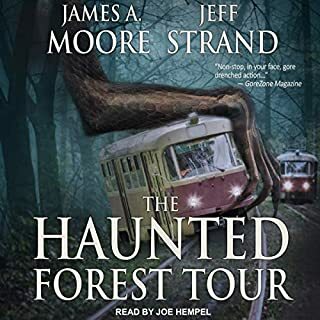 I haven't read the print version but the story certainly worked very well in an audio format, production was good and the characters really came to life. Hard to ignore some of the excruciating violence that the housemates had to endure. Though not exactly enjoyable to listen to at times, these situations grip the listener and really make you feel for (some of) the characters. It reminds me of a quote I read by Roger Gregg, saying that "A writer cannot let indifference set in. The listener can be horrified, terrified, shocked, offended, insulted, enraged, flabbergasted, stunned, amused, cursed, dumbfounded, perturbed, annoyed, exhilarated, but they can not be let slip away." There was certainly no opportunity in this story for the listener to switch off or lose interest. Chris did an excellent job in bringing the story to life. It was always clear which character was talking without the need to go over the top on any one accent, and the pacing, clarity and production were all very good. The big emotional reaction to this story will be towards the torture of the characters, but far from being an almost pornographic expression of violence (like the Saw movies) the author builds up some characters in a way that makes you really feel for them during their ordeal. Thoroughly recommended, you'll be intrigued by the story from the opening few minutes and there's a few twists and turns along the way. 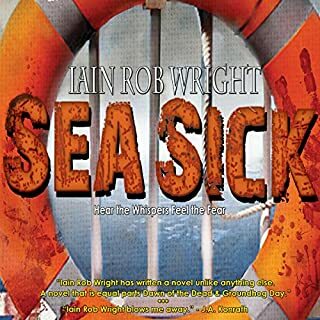 Iain Rob Wright is a great story teller having read many of his books in the past he has a great talent for vivid description and you can't wait to see how it all ends Brilliant !!!!!!!! Get ready for the big show - 12 people, 10 days and 2 million pounds. Not a bad deal. The game is not it what it seems, however, and the challenges are going to be killer. The last one standing gets the cash. Not as easy as it sounds…really. Let the games begin. I really enjoyed this one. The pacing was perfect and the action kept the story moving at a brisk pace. I have a hard time with some audio books because they are too complicated and I get lost sometimes. Not so with The Housemates, the narration was excellent and it was easy to follow and remain engaged in the action for the entirety. Highly recommended. I have read and listen to his books before. Never ceases to put that twist in his books. Great writing style that's easily addictive. Enjoyed the narration, even though at first, I was worried I would not. Not giving anything about the plot. It would ruin it. I will be listening to this one again. I think I will find even more subtleties the next listen. Very well written & narrated story. Nice character development that makes you feel you know a few of the main players quite well. I enjoyed how the writer manages to make you feel sympathetic for characters that in other circumstances you probably wouldn't root for. The action kicks in fairly quickly & is well paced, with the writer knowing how to build tension during what may seem like quieter moments. I would of liked a more conclusive ending if this is a stand alone novel, however, if there is to be a sequel then it works well. Definitely recommend others to check this out! Housemates... We are watching you! 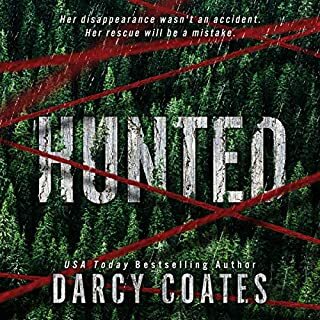 I recently purchased this audio book by using one of my Audible credits and was pleasantly surprised to discover how gripping the story was. 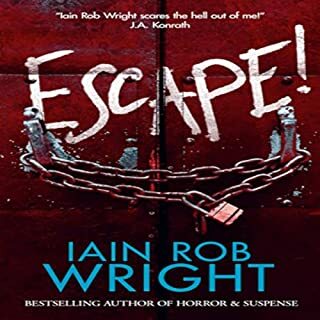 This splendid story by Iain Rob Wright is a rollercoaster ride of survival and is wonderfully narrated by the talented Chris Barnes. Barnes voices for each characters are brilliant and makes this book a fantastic listen.